It's not too late to plan your family's spring break. Go to Washington, D.C. The nation's capital has more free attractions - and more spies - than anywhere in the country. Since so many of the museums and memorials are free, you don't have to worry if the kids get antsy after an hour or two in one of the Smithsonian museums, for example. There's always the chance to fly a kite on the National Mall, stop in to meet your congressman or visit Ford's Theater after seeing the new "Lincoln" movie. It is just about peak time for the Cherry Blossoms too. Hit the Snow. If you've promised your family a trip to a snow resort all winter, now is the time with kids-free deals, festivals, plus longer days and plenty of sunshine. Pile into the car and drive to a resort near by. If the kids-and you-are beginners, smaller is always better. Hunter Mountain offers family-friendly skiing and snow sports. Time travel back in history by touring a civil war battlefield or the Historic Triangle of Virginia. Colonial Williamsburg is where the kids could dress up like colonists and play 18th-century games at Colonial Williamsburg, learn the true story of Pocahontas at Jamestown and visit a Continental Army encampment at Yorktown Victory Center. A smaller scale local option is Old Bethpage Village Restoration. Visit an amusement park. 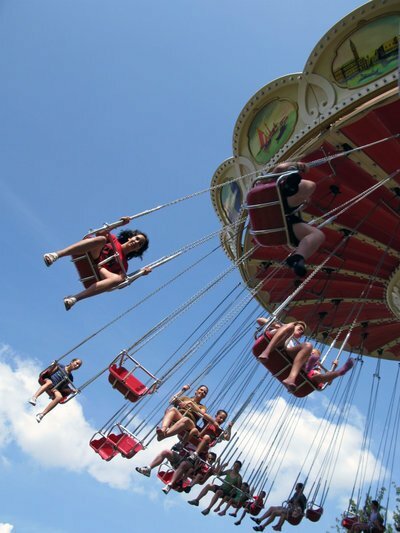 Family spring breaks are all the rage at theme parks, where all ages can find thrill rides and shows to their liking. Adventureland will be starting their 51st season on March 23rd. Six Flags Great Adventure will also be opening on March 23rd. For the sweetest place on earth, head to Hershey, PA.
Let us know how you and yours will be spending Spring Break 2013 on Long Isaland.com's Parenting Forum. Spring Festivals, Hot Happenings, News & More in April 12th's Newsletter! MEDIA ADVISORY For May 2, 2011: Gershow Recycling Hosts Advance Screening of "Break It Down"
Subject: LongIsland.com - Your Name sent you Article details of "Last Minute Spectacular Spring Break Ideas"